Long Range Remotes Included(1500ft) range. Remote Start feature can also be Activated by pressing lock 3 times in succession on factory key fob also. Pre-Assembled product takes the hassle out of installation. 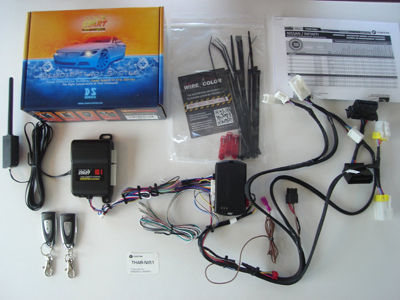 Complete plug and play remote start system. Remove from the box and install remote start system for select Nissan and Infiniti Cars, Trucks,and SUV’s. Kit includes Crimestopper DS-1 Remote start control module with 2 Long Range Remotes, EVO-All and T-Harness Professionally Integrated together and Configured for Installation. Installation guide, connectors and zip ties included.